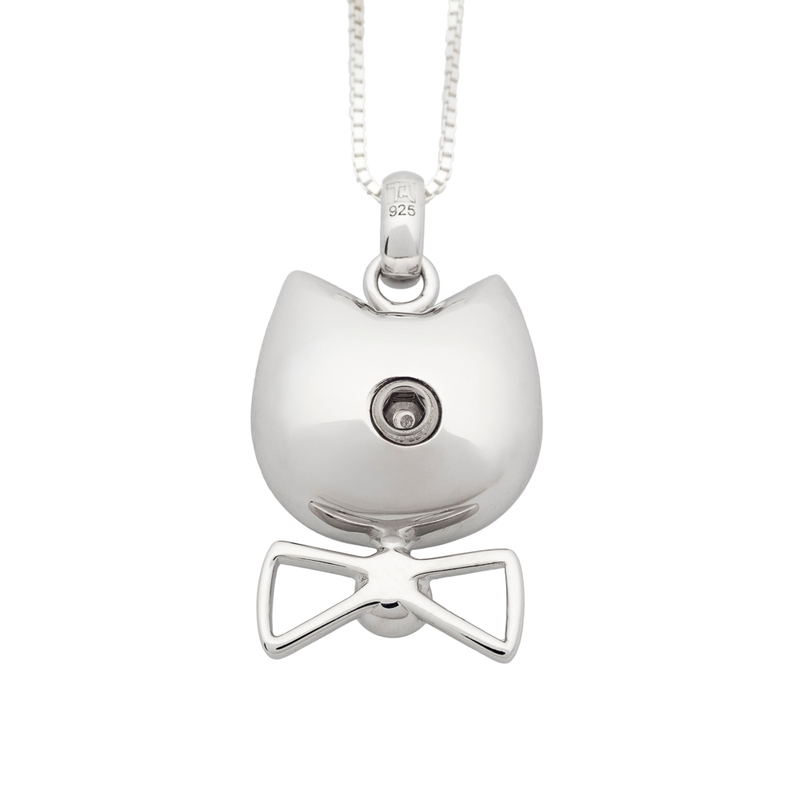 Inspired by the adorable poke of a cats heart around the corner, our puffed kitten pendant is one you should will treasure forever. Special Order ONLY. Please allow an additional 4 weeks processing time. 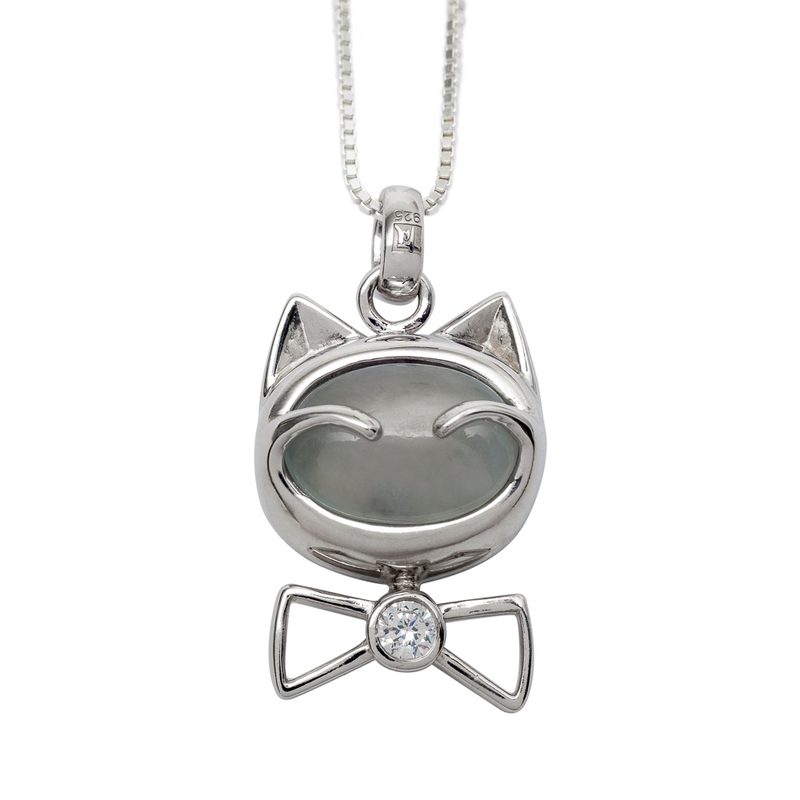 This Cat Pendant can be customized with engraved name, dates, initials or heartfelt message for a loved one with up to 30 characters (including spaces) in one of our most popular font styles: Block, Script, and Traditional. Before we begin the engraving process, a proof will be sent to you for your approval. After engraving, each piece of jewelry is given an additional layer of pure silver to create the most beautiful & tarnish resistant finish possible. Please allow an additional 7-10 business days to shipping date for hand-engraved jewelry. The heraldic one-of-a-kind hand engraver of Treasured Memories, Inc., Richard Hughes, who worked for Tiffany & Co. for years, uses tools of hardened steel called burins, much like a painter has a variety of brushes. His tools yield different line types and angles depending on the delicacy of the stroke or volume (surface area) of the 'fill work'. After all, it is metal surgery. And it requires precision, artistry, and experience with a broad array of techniques to ensure the best result. "I received my Circle of Life Pendant order today. It's beautiful and I absolutely love it."